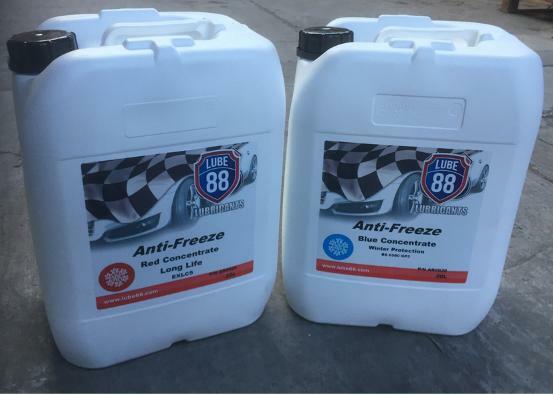 In stock and available now at great value prices is high quality Lube 88 Anti-Freeze. The product comes in economical 20 Litre pack sizes and in a Red Concentrate Long Life (EXLC5) version and a Blue Concentrate Winter Protection version (BS 6580 GP3). Please contact your representative or call telesales to order. Registered in Ireland No: 22387 Web Design by : Webdirect.ie . .